Wheel cakes (車輪餅) are a popular dessert made from a waffle-like batter cooked in cast iron pans. Named after its rounded shape, this Taiwanese street food staple originates from Japan’s imagawayaki and has been localized over time. Today, wheel cakes are a common sight across Taiwan at roadside carts and within night markets. 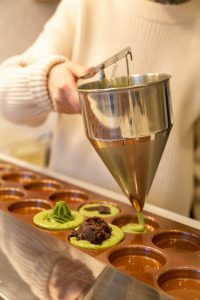 In 2016, frequenters of New York’s food festivals and street markets were finally able to try this dessert thanks to the team behind Catmint Wheel Cake. 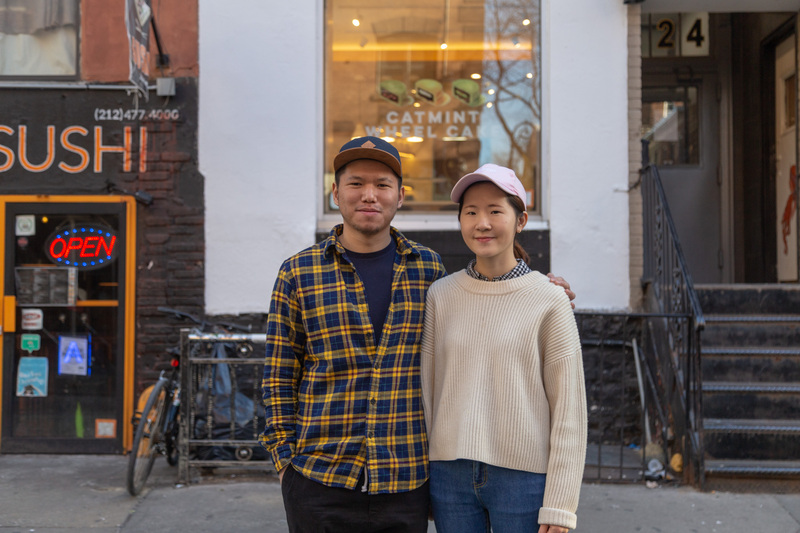 Two years later, owners Nicole and Pio have recently opened Catmint Wheel Cake’s first permanent location in Greenwich Village. TAP-NY visited their new store and learned about their journey to this milestone moment. Owners Nicole and Pio met in college at Binghamton University and moved to New York City together in 2013. 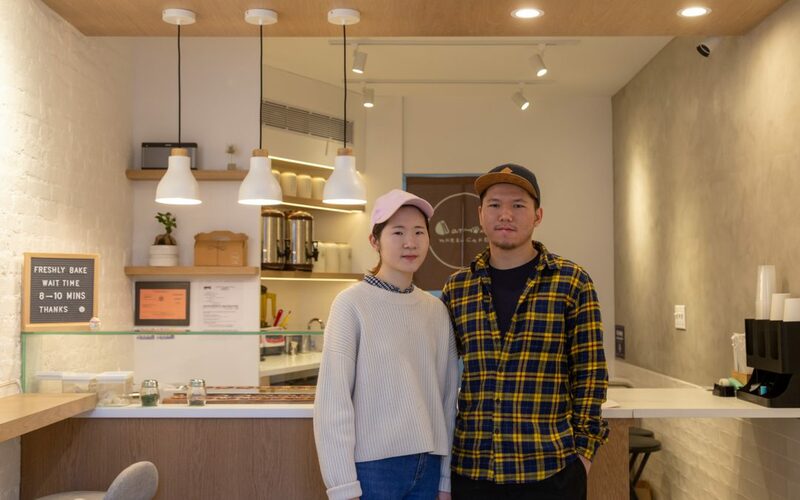 Inspired by the sheer variety of restaurants and shops in the city, the two began doing research on starting a business while working at their day jobs in the apparel and accounting industries. Both Nicole and Pio are first-generation Asian Americans: Nicole is originally from Xizhi, a suburb of Taipei, and Pio is from Hong Kong. Growing up outside of the states, they knew full well the appeal and importance of authenticity in the food scene. 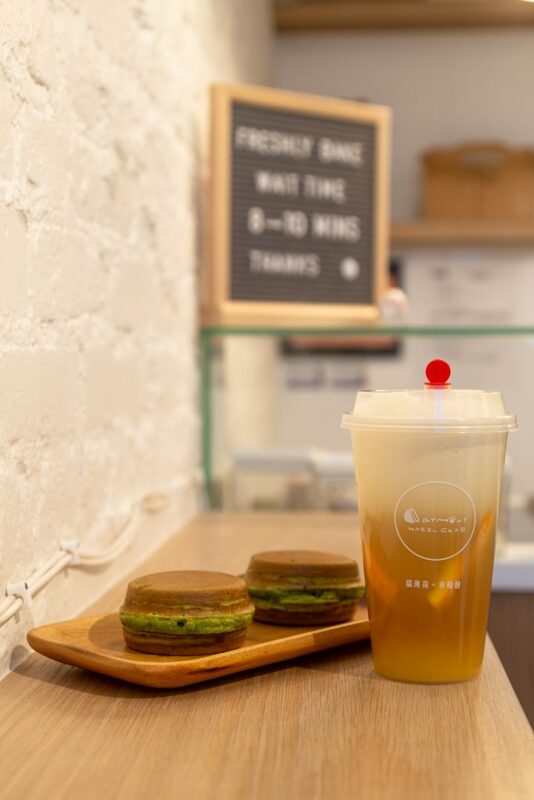 Their idea came about as the Taiwanese food scene in the city began growing in popularity. 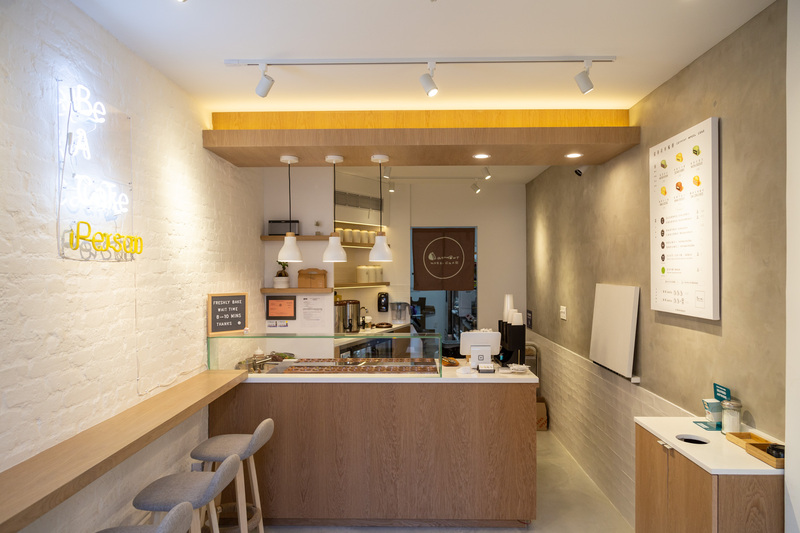 After bringing the machine to the states, Nicole and Pio began months of recipe testing, first to recreate the traditional street-side flavor, and then to improve on it for the New York market. 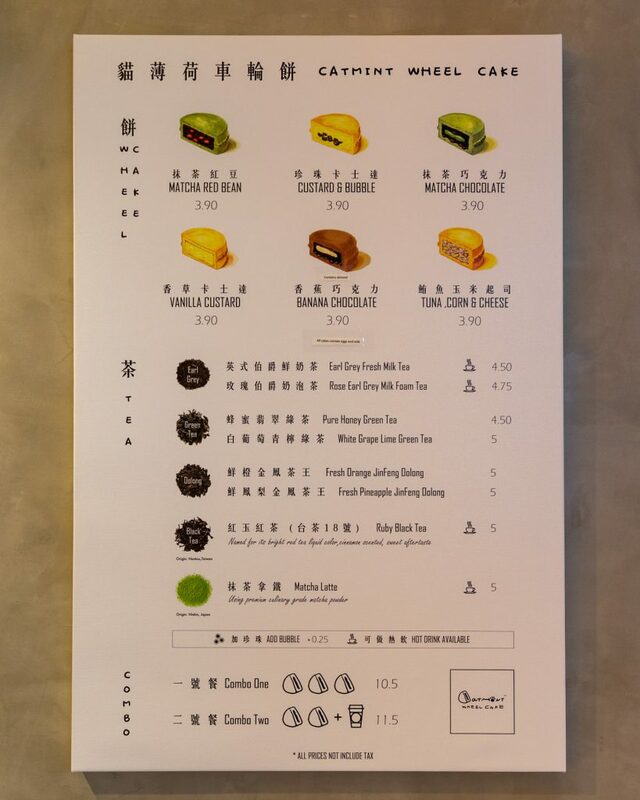 “Buying wheel cakes from the sidewalks of Taiwan is really easy on the wallet, about 10NT (<$1 USD). What we found while experimenting, though, was that to be able to sell at that price, those vendors use powdered mixes and artificial ingredients in order to lower the cost. But instead of compromising the ingredients, what we really wanted to do is to elevate this traditional dessert. So we spent a long time improving the recipe,” explains Pio. For TAP-NY members for a limited time, mention TAP-NY in store at Catmint Wheel Cake to receive 10% off! See more details here.